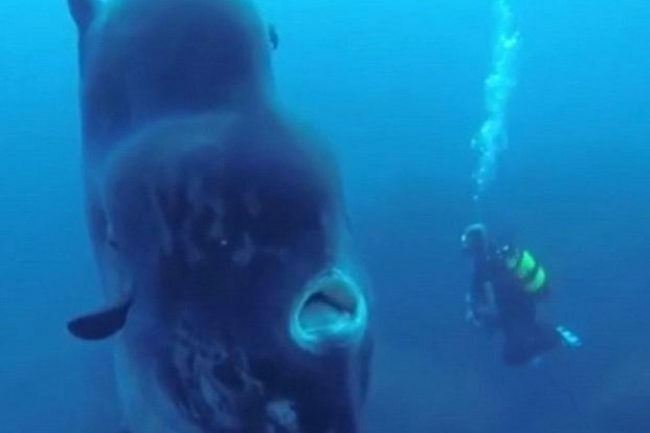 These unusually shaped creatures, also known as ocean sunfish, are the heaviest bony fish in the world, and can weigh nearly 5,000 pounds. The encounter was filmed by photographer Miguel Pereira in October near Santa Maria Island in Azores, Portugal. 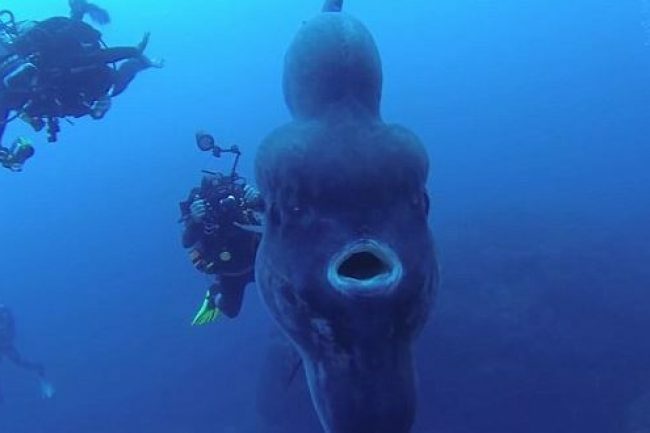 With a wide forehead and a massive chin to match, the ocean sunfish is a peculiar sight. Mola have been known to grow as large as 14 feet high, and 10 feet long, weighing more than 2 tonnes, according to National Geographic. 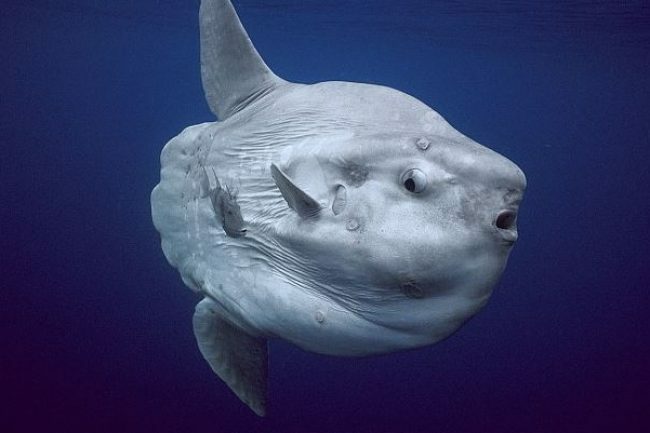 Sunfish have a beak that they use to feast upon jellyfish, zooplankton, algae, and some small fish. They can be found in temperate and tropical oceans. These slow-moving fish are hosts to many different types of parasites, and will propel themselves as high as 10 feet above the water in order to shake them off. Though massive, these fish give off the impression that they're only half developed – just beyond the two huge dorsal and ventral fins, the body almost abruptly ends. The underwater footage shows just how massive and unusual the creature is, as it resembles a floating blob while cutting through the sea.